Isn't it beautiful! We nearly missed this spot had it not been for Michelle's eagle eyes spotting a luminious blue glow hiding behind a row of small hills. 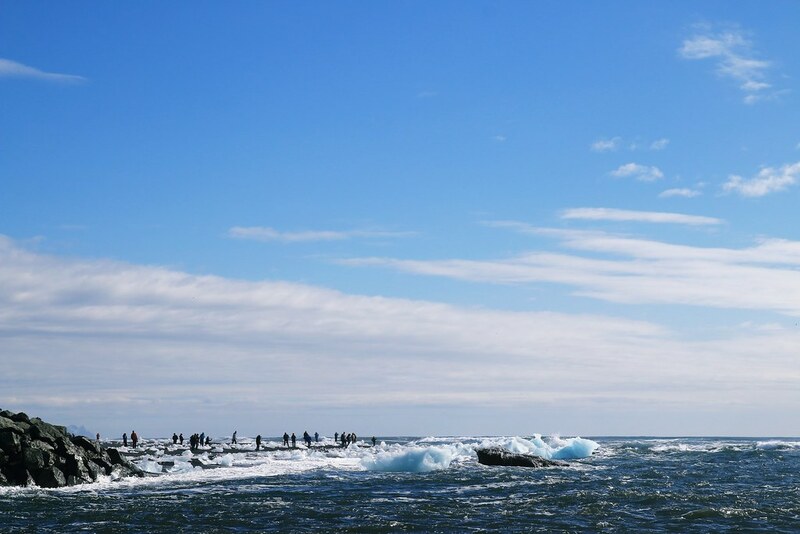 There they were indeed, the icebergs of Jökulsárlón Glacier Lagoon forming a ghostly cityscape. 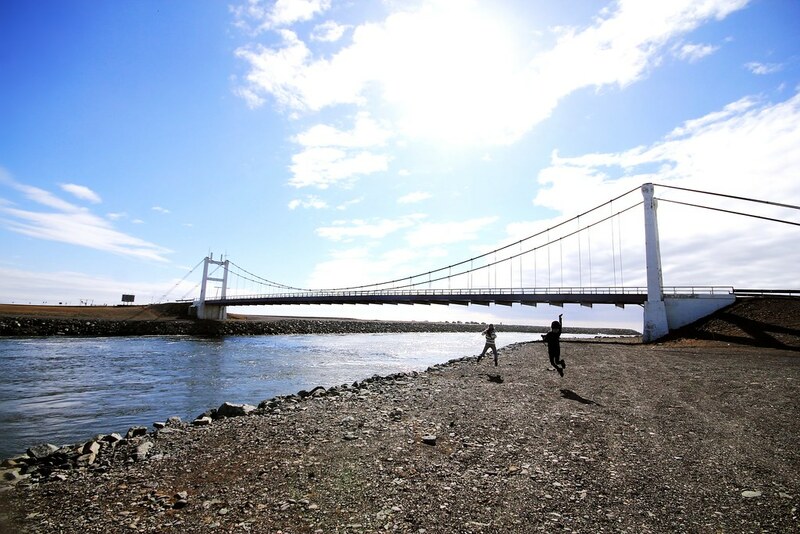 Driving from Reykjavik to Jökulsárlón, there's a stop off just before the bridge leading to the main entrance of the glacier lagoon. 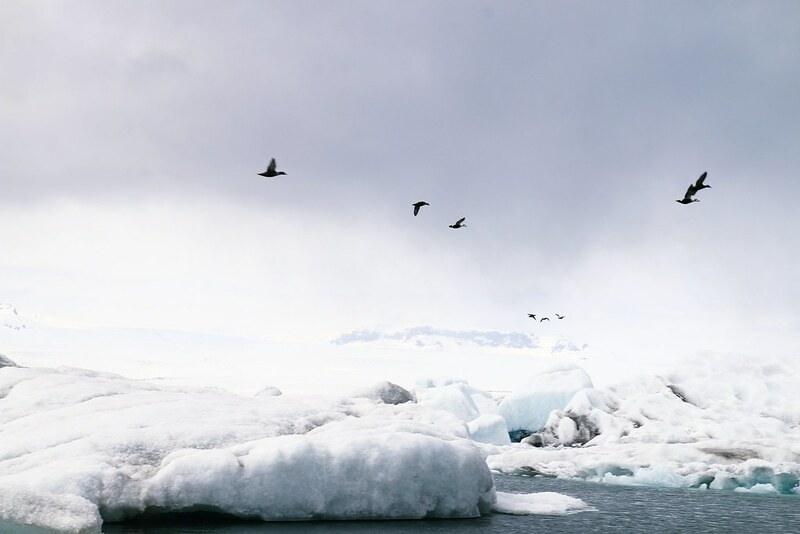 We made a quick stop here and I was instantly captivated by the deep blue and pure white colors of the icebergs as they perfectly matched the icy sea. 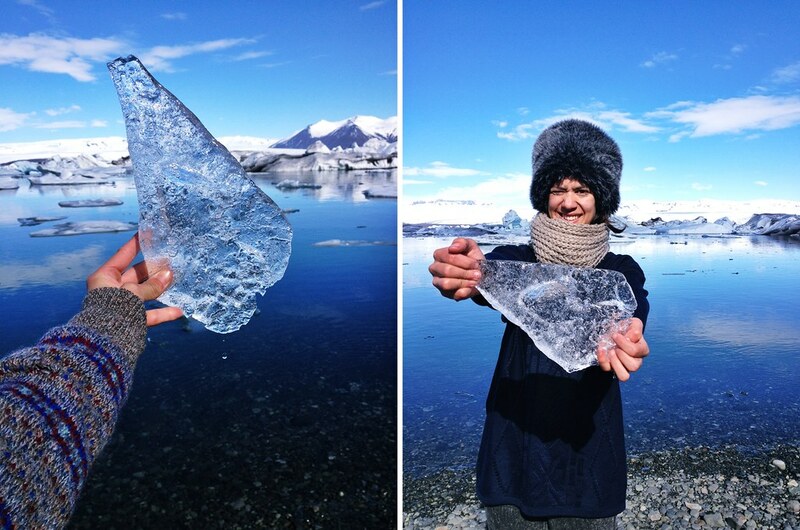 The lagoon was packed with these majestic icebergs. They were floating as individually lonely souls, silent and calm. 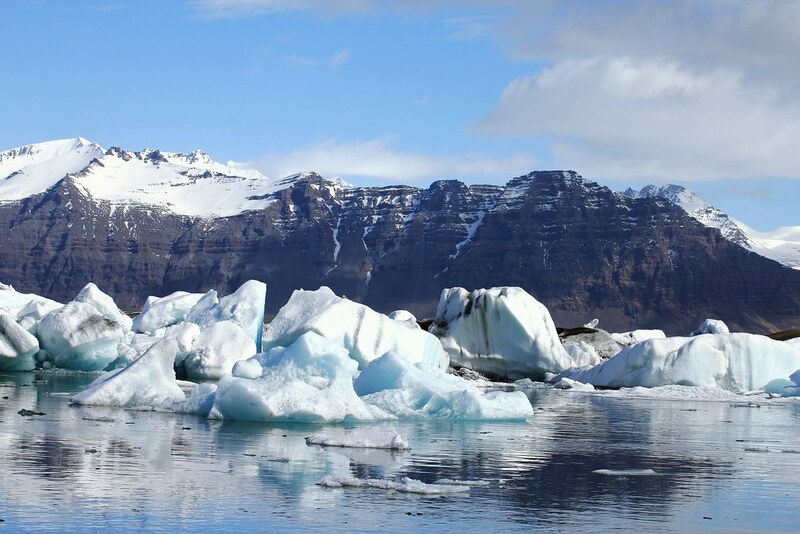 When chunks of ice break off from the Vatnajökull glacier, that is when the real magic happens and these icebergs are brought to life. 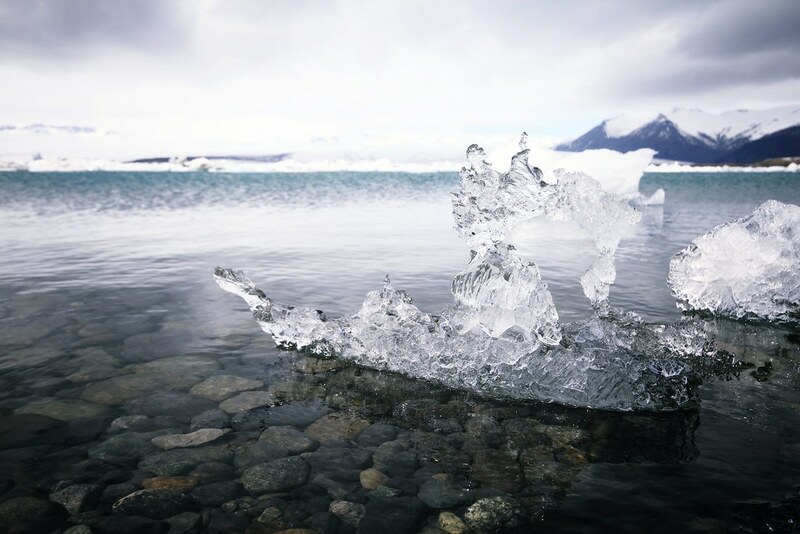 Cutting loose, all these ghostly icebergs set themselves out on a journey towards the ocean. From the spot off we followed the small river, under the bridge and out to the ocean; the very same path which the icebergs would embark, when they are small enough to actually leave their nest. 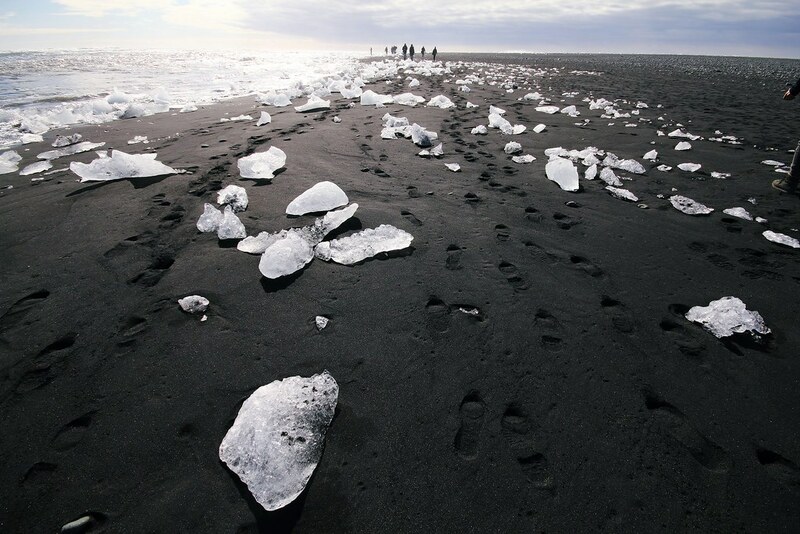 Here on the other side, a vast amount of ice chunks were gathered onto the black sand beach. They looked like sparkling diamonds. BEAUTY ON BEAUTY! 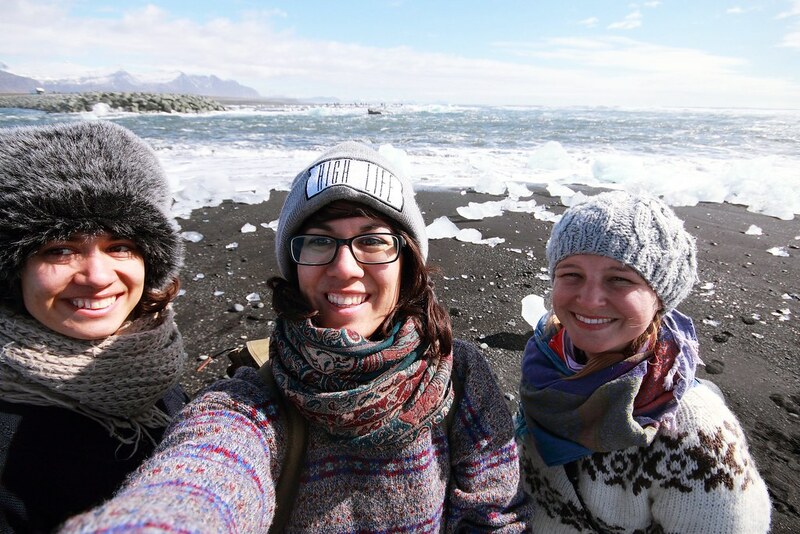 We headed back to the car and drove to the official entrance of Jökulsárlón with plans to take a tour on a zodiac and sail in the lagoon. 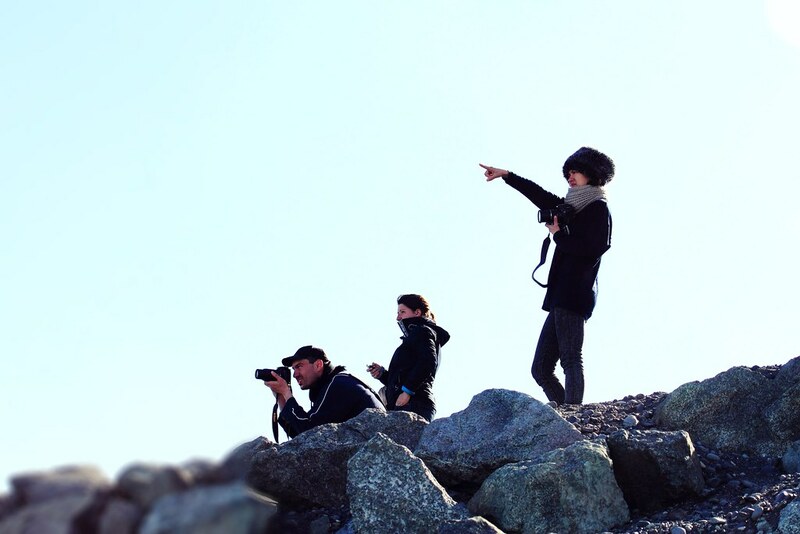 We were all excited of the thought of getting up close to the icebergs. Just imagen how wild it would be! Unfortunately, our excitement was quickly killed off when we saw a sign saying all boat trips were cancelled. 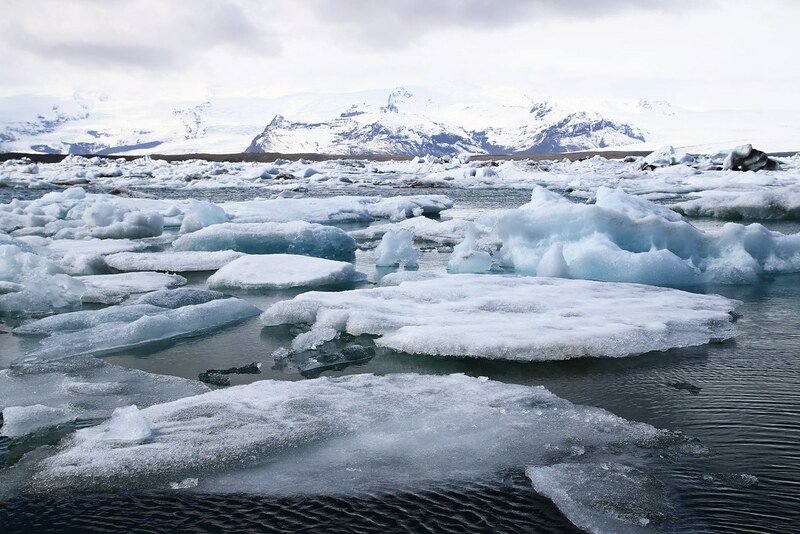 A large number of icebergs had settled themselves in the lagoon and thus making it impossible for boats to navigate around. 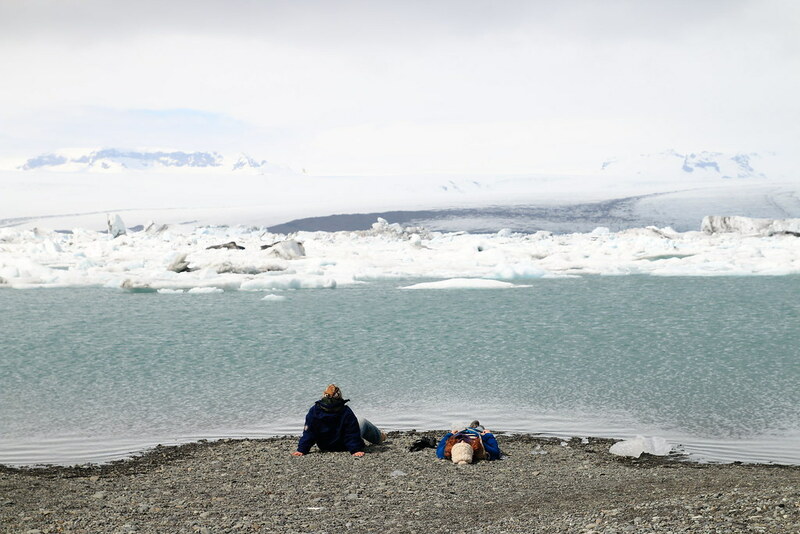 Instead we spent time along the shore admiring the number and size of the glacial icebergs. The Land of Ice !!! Wooow! 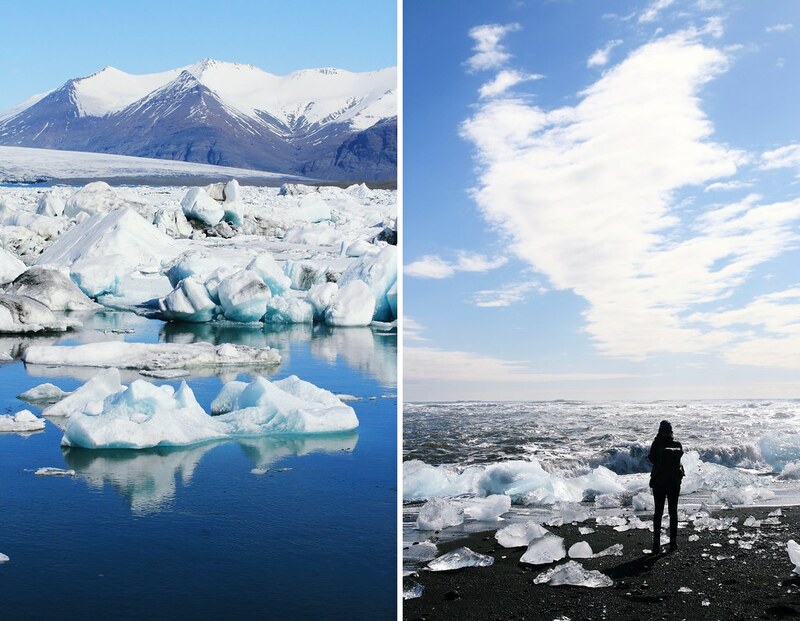 Iceland looks so amazing! 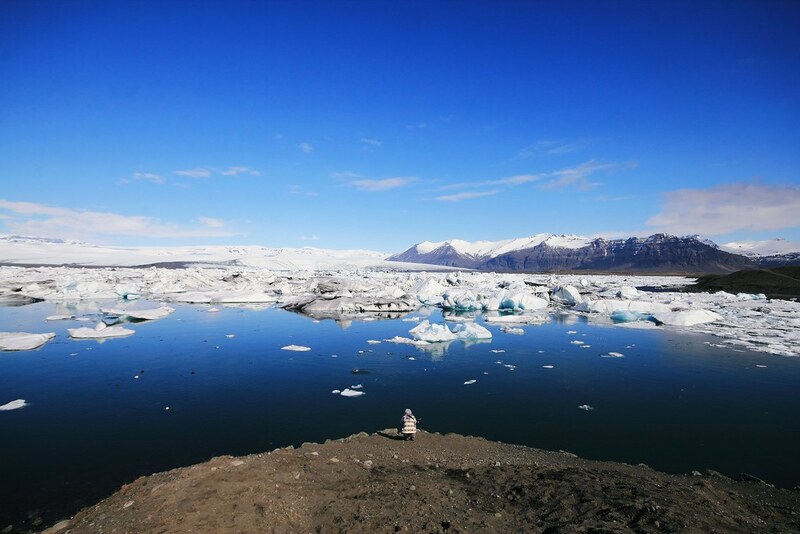 I love the deep blue color of the sky and sea, and the big pieces of ice on the black beach. Too bad you couldn't explore the area by boat tho, but you still got a bunch of beautiful photos!! Iceland is climbing further and further up on my bucket list! !